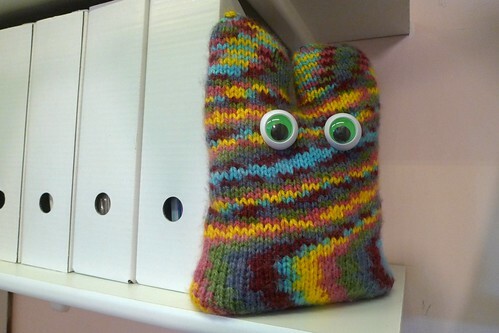 In April I started knitting this creature and I have finally finished it by attaching googly eyes. I am a little bit crazy for googly eyes. This fellow was knit in the round in a single piece. Its insides consist of a weighted bean bag and pieces of batting. 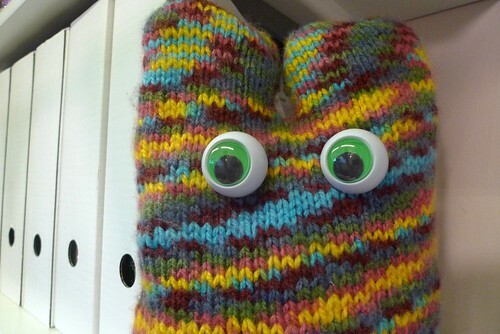 It has made its home on a shelf in my craft room and keeps its eyes on me while I am in there.